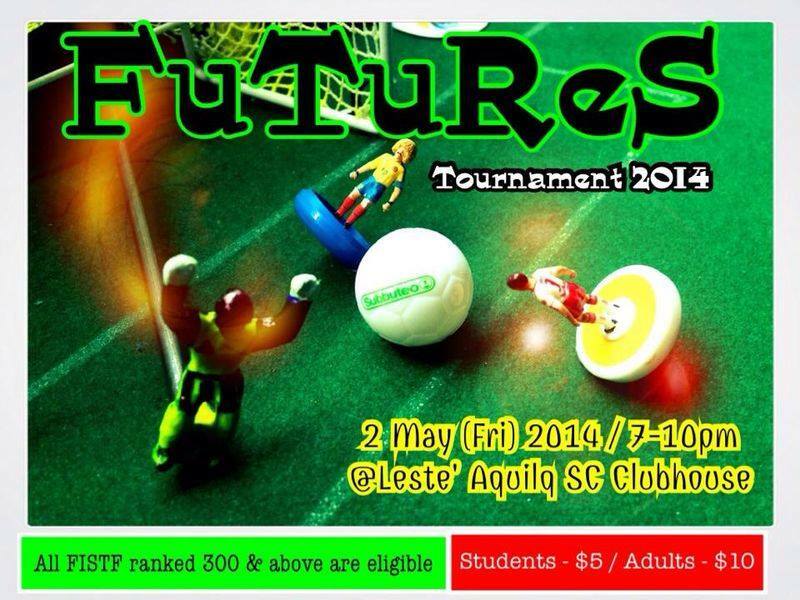 The Futures tournament managed to attract 14 players, where players were placed in 4 groups & as there is no ranking the luck of the draw usually determine players progression to the next stage. The top two players of each group would eventually progress to the knock out stages and the strongest players will eventually meet in the final. 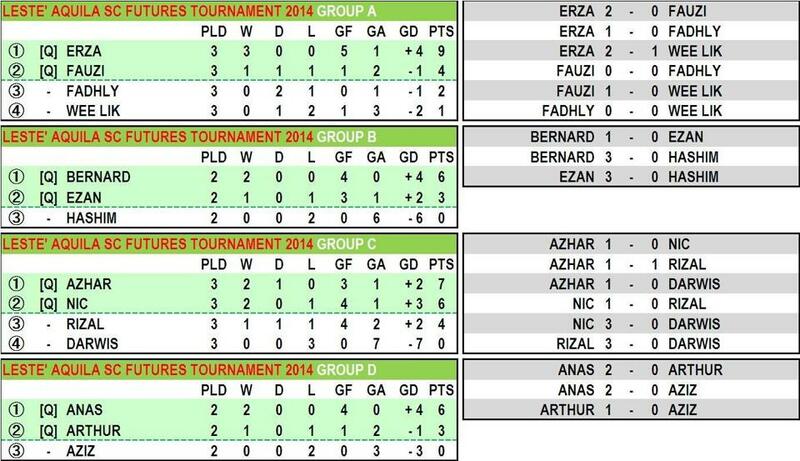 The tournament favorites were Erza Aripin, Bernard Lim & Anas were luckily not to be drawn in the same group. However, the tournament dark horses Fadzly & Fauzi were unlucky to bundled in the group A deemed the group of Death together with Erza & seasoned veteran Wee Lik. 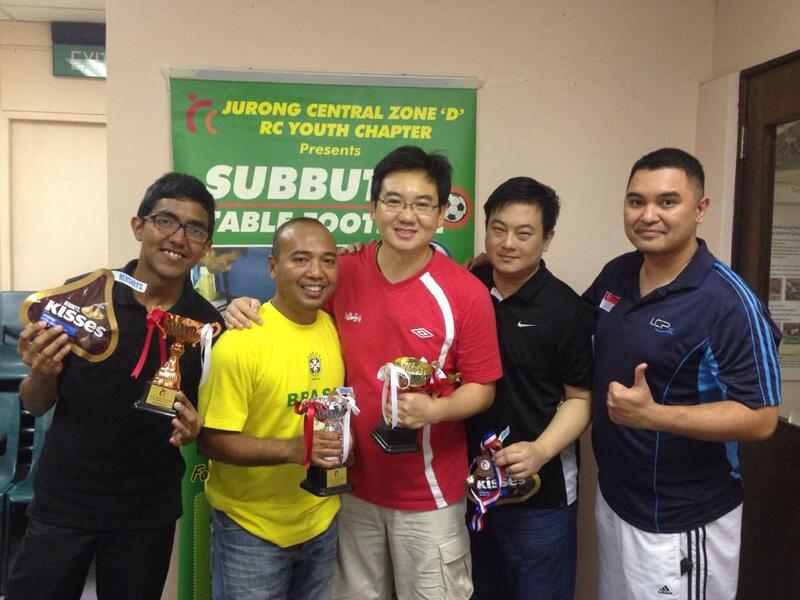 The event also introduced three newcomers to the WASPA circuit were Hashim, Arthur Yeo & Darwis. The group games did not provide any suprises with the favorites qualifying comfortably. However group A, 2nd qualifying spot had to detained till the last game where Fauzi required a draw while Fadhly required to win to advance to the next stage. The game was very tensed with Fauzi doing an ala Chelsea & parked a bus at the shooting area with Fadhly struggled furiously to score. 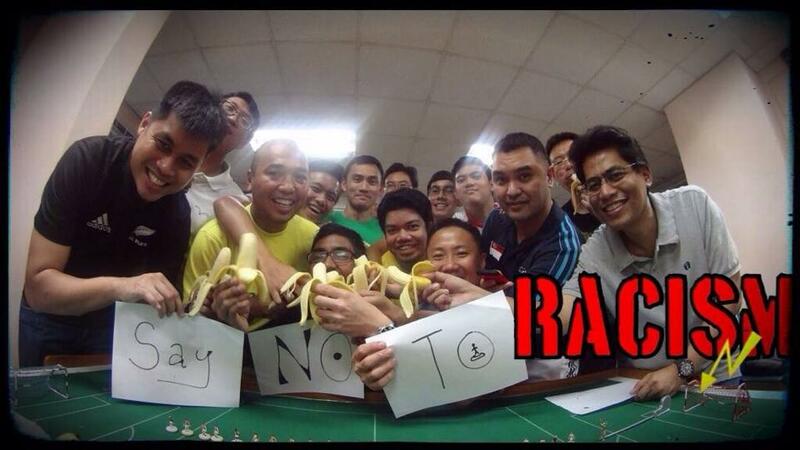 In the end the game ended 0-0 with Fauzi advancing. The quarters provided a few suprizes as favorite Erza and seasoned player Azhar bowed out in the shoot-outs after drawing their games. Fauzi & Bernard dished out an exciting 6 goal triller with the latter winning 2-4 while Anas prove to strong for Nic winning 2-0. Ezan was gaining in momentum & bring his last win to this game when he demolished Arthur while a shoot-out had to settle the winner between Bernard & Anas after their game ended in a 1-1 draw. 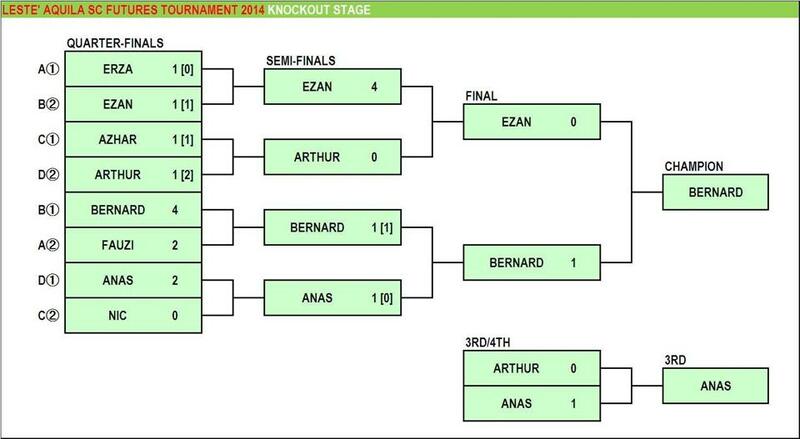 Anas won by a solitary goal but it was an a great achievement for newcomer Arthur who managed to qualify till semis. 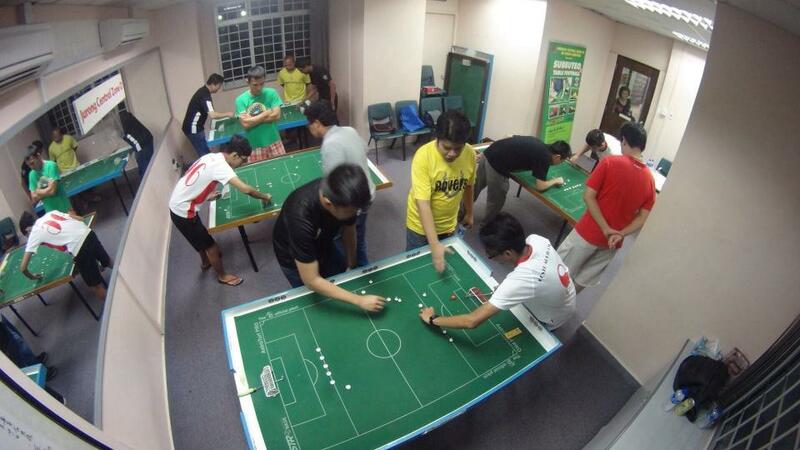 Could Bernard do a double over Ezan after their recent group meeting ended in a 1-0 win or could Ezan get his revenge? A fast pace & open affair between both players did not disappoint the crowd with several breathtaking flicks, shots & saves. Both had equal share of chances but Bernard managed to prevail with a grounder shot which penetrated pass Ezan stubborn defence. 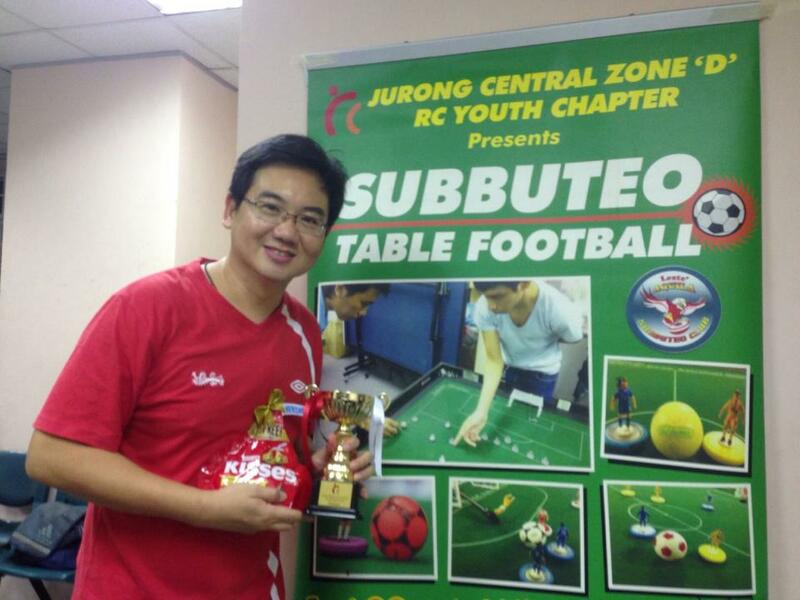 In the end one goal was enough and Bernard finally won a tournament.